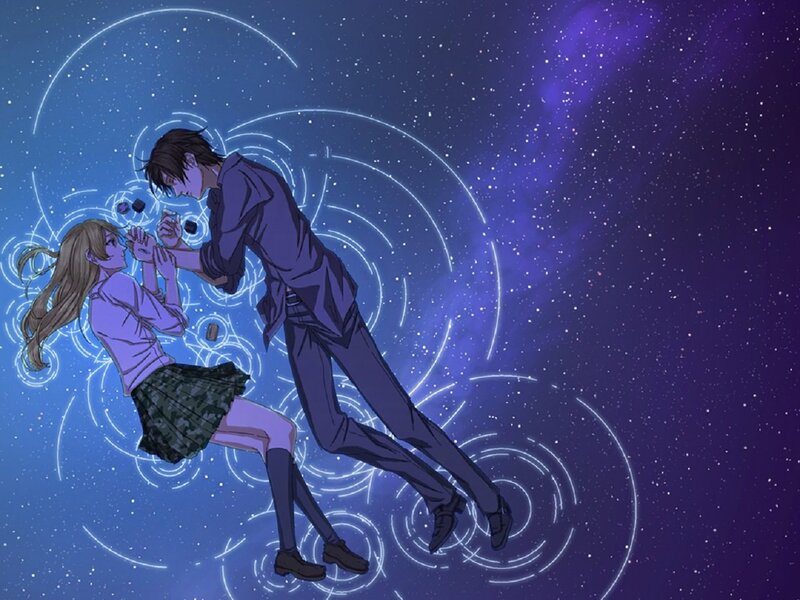 Ryōta Sakamoto is an unemployed 22-year-old young man who lives with his mother Yukie. 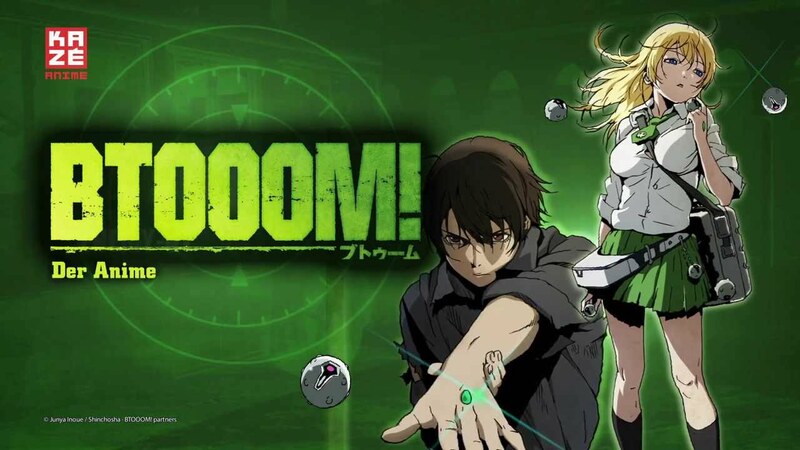 He is one of the world’s top players of the combat video game called Btooom!. One day, he awakes in what appears to be a tropical island, though he does not remember how or why he has been transported there. While wandering around, Ryōta sees someone and calls out for help. The stranger responds by throwing a bomb at him. Ryōta soon realizes that his life is in danger and that he has somehow been trapped in a real-life version of his favorite game. 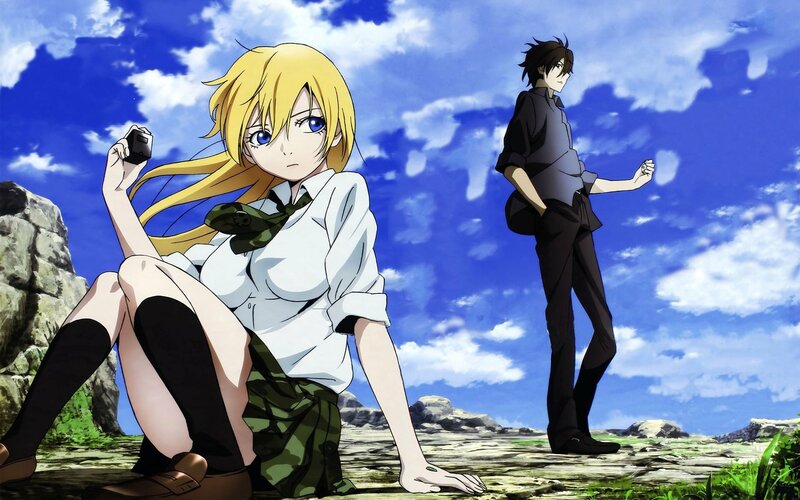 In the game Ryōta meets Himiko, who is another Btooom! player — and Ryōta’s in-game wife. 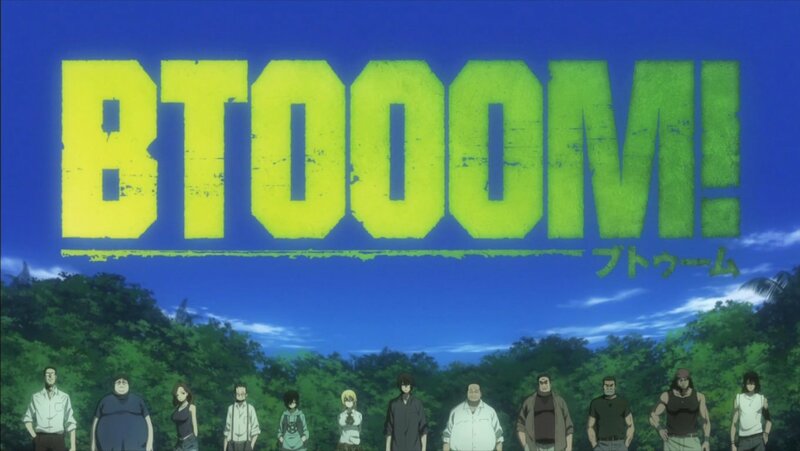 As the series progress during Iida’s investigation with the government agents like Matthew Percier, along with the help from Ryōta’s step-father and step-uncle Hisanobu and Mitamura, it is revealed that Tyrannos Japan, the developer of Btoom! 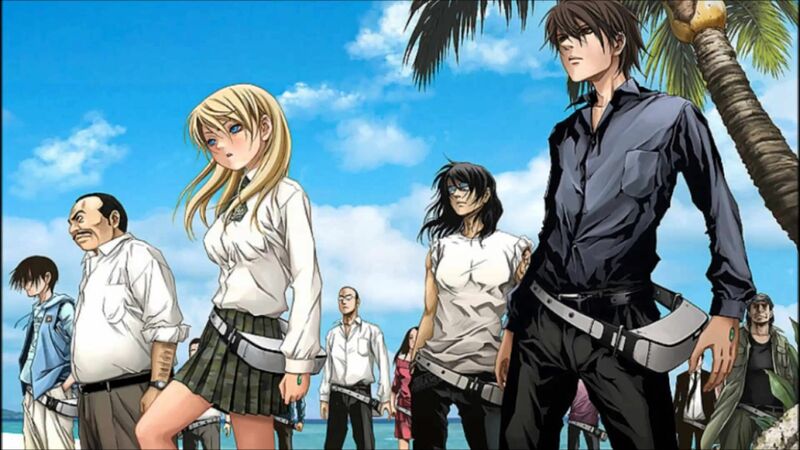 has been associated with the terrorist organization called Schwaritz Foundation, in attempt to use the players as their test subject to conquer entire world and getting rid of the evidence of their exposed crimes they are currently committing.